Moving is hard enough for adults. For children, moving homes can be an upheaval of everything they've ever known. Whether you're part of the 40% of people who relocate due to work, the 18% who move because of military or government relocations, or the remaining 42% moving for personal reasons, you will need to approach this move with kids differently than moves in the past. Pay extra attention to your little ones and use these tips to facilitate a move that's as smooth as possible for the whole family. One of the most important things to do well in advance of the move is to communicate effectively with your children. As soon as you decide that the family is relocating, talk to your kids about what the move will be like and what challenges might happen during the process. While you're busy checking things like your new home's radon levels, which are at or above the EPA action level in about one out of 15 U.S. homes, have the kids pick out their rooms colors. Even this small amount of involvement can help ease the process, especially for younger children. As for the actual process of moving, start preparing at least two months earlier than you may think is reasonable. You already know how long it takes to get the kids out of the door for school in the morning. Getting them and all of your worldly belongings into a new home entirely is going to require a lot more time. Don't be afraid to ask your friends and family for help with packing or watching the kids so that you can focus on your moving to-do list. When the big day arrives, it's natural to feel at least a little overwhelmed. Keep the kids from feeling the nerves as well by giving them a set list of tasks beforehand. With a well-laid plan, they will know exactly what to expect. Just as importantly, they'll stay busy (hopefully) with their assigned tasks. If your kids are old enough to help move some boxes, be sure that they know the proper lifting techniques. With over 80% of ankle sprains resulting from the ankle rolling inwards, you want to be sure that the kids move carefully and have stable footwear to do so. For families moving a few towns away or even to another state, try to find a few interesting places and sights to stop at along the way. These exciting stops will make the trip go by more quickly and can take the kids' minds off of the town they're leaving behind. Use a map to mark out the route between your old home, the places you'll visit, and your new home so that the kids can see your journey. 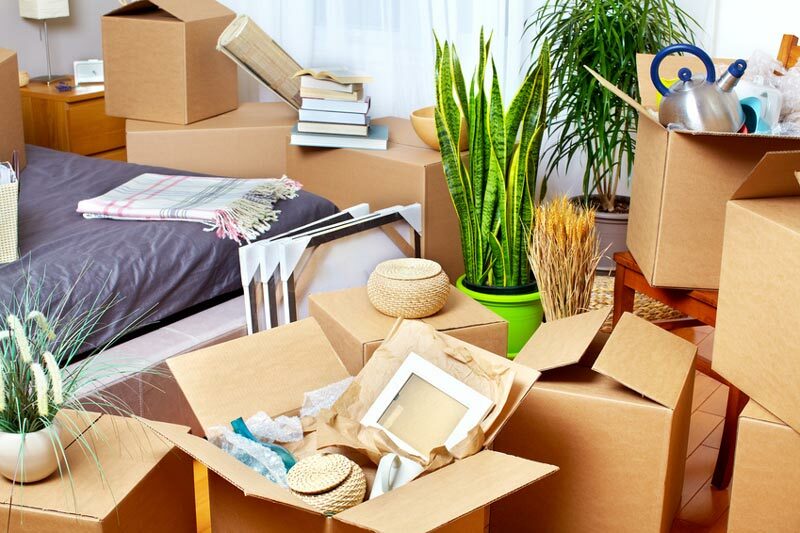 Once you're in your new home, unpacking all of the boxes can seem like an incredibly daunting task. Keep in mind that you will have plenty of time to unpack everything and that it is more important to establish a regular routine with the children. Try to keep the same mealtimes and bedtimes you had in your previous home. For young children especially, routine and predictability can help ease any of the stress they feel with the location change. Setting up their same bedspread, pictures, and other familiar objects right away will also help your kids feel at home. If your kids currently participate in extracurricular activities, be sure to find similar activities right away in your new area. Not only will doing activities they've done before help them feel more at ease, but it will be a great way for them to make new friends. In fact, recent surveys reveal that 62% of kids who play organized sports in the U.S. play so that they can interact with their friends. Rather than dreading your impending move with the kids, spend your time preparing for it step-by-step. With a well-organized plan and plenty of preparation that involves the whole family, you will feel like you accomplished this feat together. Soon enough, you will be settled in your new home and making brand new memories there.